I'm feeling nostalgic myself. And, hee! 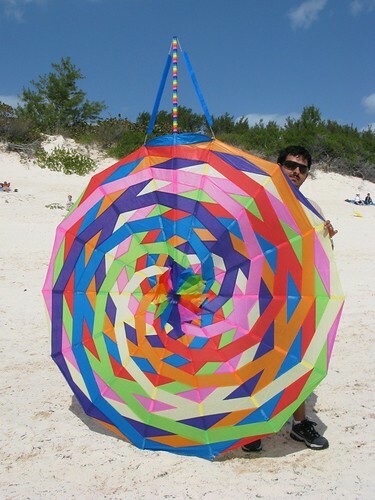 Cindy wondered how many of us 'older generation' would be looking for kites to fly in the next few days. I'm glad you enjoyed it. Thanks for letting me know. Heh heh heh. Of course they would make it a contest, and of course Jim would go for 'precision-crafted materials' against what was recently basically just a mess in his living room. (And I can just hear Blair telling Jim that he was going *down*.) Cool that it ended up a tie! of course Jim would go for 'precision-crafted materials' against what was recently basically just a mess in his living room. And I can just hear Blair telling Jim that he was going *down*. I swear, sometimes these guys just write themselves. They really are so perfect together, and yet so distinct as characters. Cool that it ended up a tie! As Jim said, they worked to make it so. I tried to make one or the other win, but they didn't like that idea. I'm so pleased you liked the story. Thanks for letting me know. I just looked it up; annual rainfall in Bermuda is 37 inches, evenly spread out over the year. It certainly made us aware of water conservation -- good training for now living in the desert, actually -- but we ran out only once; tree roots had cracked the underground walls, and the water leaked out without us knowing. At least, with all that rain, we never had to water the yard or garden, as so many do in various places. With the storage tank, we always had running water; it wasn't like, "Well, we'll have water if it rains tomorrow." But, in reality, we all depend on rain for the faucets to function -- it refills the lakes, rivers, and aquifers we get our water from. Just, in Bermuda, we were much closer to that reality. That was lovely and I would have completely missed it if not for the TS Newsletter. You brought back some lovely memories, not so much of childhood but kite flying with my kids. We have the best hill to fly kites. Just think of Julie Andrews in the Sound of Music, twirling around on her mountain and you'll get the picture of my hill. *g*. These days we've been watching the kite surfing down the beach. Now they really get some speed up and while I'd love to have a try, I think I'll stick to the gentler art of kite flying with my feet firmly planted on the ground. Again wonderful, feel good story. Yay for the newsletter! It's saved me from missing fics, several times. I think my flist is too big; it's easy to overlook something if I don't scroll back far enough in the evening. <g> Glad you liked it. You brought back some lovely memories, not so much of childhood but kite flying with my kids. 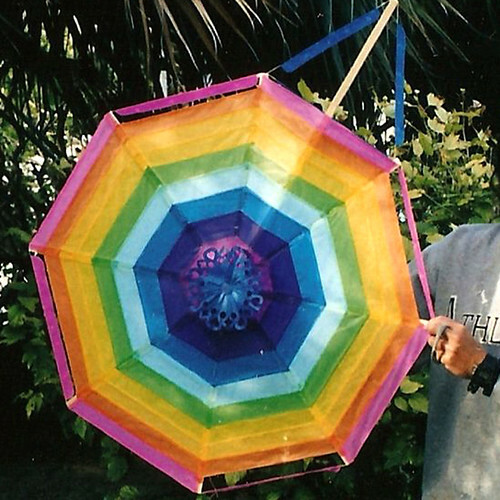 It really doesn't matter how old we are; kite-flying is just darn fun, isn't it? We have the best hill to fly kites. Just think of Julie Andrews in the Sound of Music, twirling around on her mountain and you'll get the picture of my hill. *g*. Oh, COOL! No hills around here... but also lots of wide open spaces where we don't have to worry about kites getting tangled in trees. These days we've been watching the kite surfing down the beach. Now they really get some speed up and while I'd love to have a try, I think I'll stick to the gentler art of kite flying with my feet firmly planted on the ground. Probably much safer. But I confess, I'd love to give it a try. Not much opportunity around here, though... no ocean, no beach. Thanks. I'm really glad you enjoyed it. After several really drudgy weeks at work, I finally have a chance to sit down to some fic. This was splendid and just what the doctor ordered. This was SA dues? I'm happy to see that there wasn't an angst in sight, because I really needed a big ol' slice of Blair and Jim enjoying life. I love your kite making description. You really captured Blair's enthusiasm, as well as Jim's fond indulgence with just that right amount of smirkiness. And then Jim just joins in like the big kid he is inside. Wonderful. The links at the end plus your memories were great. Thanks. Oh, I'm so glad I could give you a suitable antidote for drudgy-work blues. I'm happy to see that there wasn't an angst in sight, because I really needed a big ol' slice of Blair and Jim enjoying life. <g> I just hope I don't get kicked off the list for lack of angst. What can I say? My favorite genre to write is "the friendship thing". Thanks. I'm always gratified when readers feel I wrote the boys "right", but really, they sort of feed me the lines. Blair would just be flat without his enthusiasm... and I suspect Jim enjoys it for the excuse to let his inner kid out. I always wonder if people actually follow those; it's nice to know a few did. I had no idea there were such beautiful examples on the 'net until I went searching. I'm glad you enjoyed them. Thank you so much for letting me know you read and enjoyed my story; I really appreciate it.